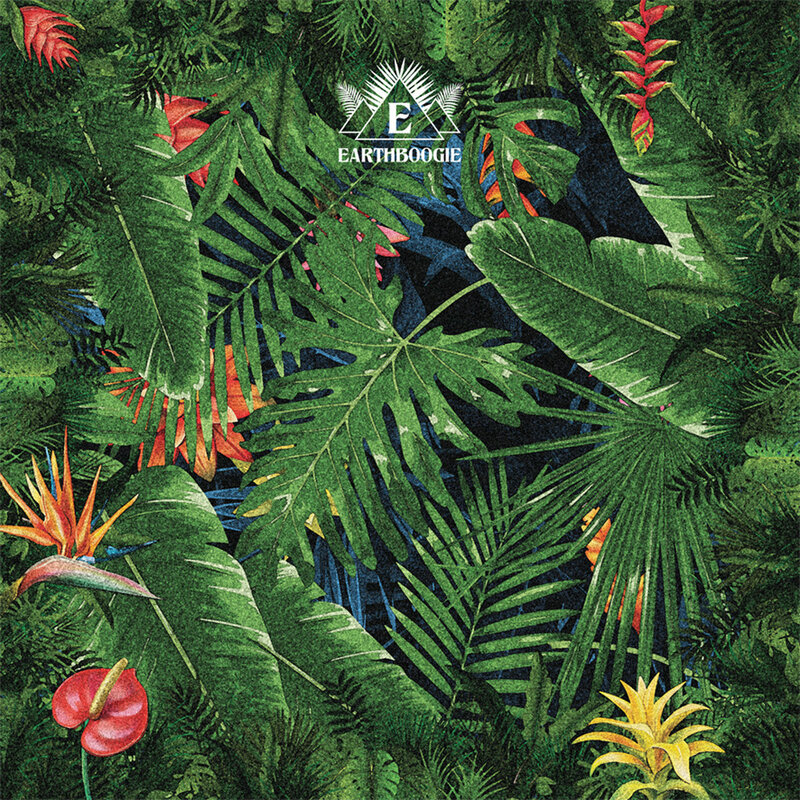 Earthboogie pull out an assorted bag of playful exotica, disco jazz and Chicago-tinged afro house. Since the appearance of 2017’s Mr Mystery EP, we’ve been getting excited about Earthboogie’s debut full-length, Human Call. Earthboogie are an East London-based two-piece who derive influence from the latest of parties and the sunniest of far-flung islands, and, having previously been remixed by the likes of Mushrooms Project, they dropped their first full-length this May. Stream the full album here on 45turns. Human Call is composed around a set of influences nothing short of eclectic; it combines Mediterranean guitar with loungey, broken beat musings on ‘The Getaway’, showcases bebop style brass solos on ‘Stargazin’’ and explores echoes of afrobeat on standout track ‘Silken Moon’, which features Nina Miranda on vocal/chant duties. Opening track ‘Overground’ is an off-kilter menagerie of jittery percussion, African chants and a ruminating bassline that could have been pulled out of a Chicago house track. Indeed, throughout the record you find that Earthboogie emerge from a place where all the sensibilities of house producers are infused with a passion for the exotic, experimental and esoteric. That’s not to say that Human Call is an inaccessible record; on the contrary, all eight songs on this LP are immediate dancefloor weapons in their own right. In reinterpreting African and tropical influences into a more psychedelic dancefloor experience, Human Call is somewhat reminiscent of Maajo’s debut LP from our Top Ten LPs of 2017. Earthboogie dab their fingers in tribal paint before touching on all the corners of modern electronic music, and the result is enthralling. Worth the wait. You can pick up ‘Human Call’ on vinyl and digi at the Leng Records Bandcamp page. I would advise to do so.